This week we're celebrating all things new, and using them to create some of our first holiday cards of the year. Specifically, we're asking you to gather up the new crafting goodies you received for the holidays and use them on your holiday card this week. Just in case all you got from Santa was a bag of coal, then break out something from your crafting arsenal that you haven't created with yet. 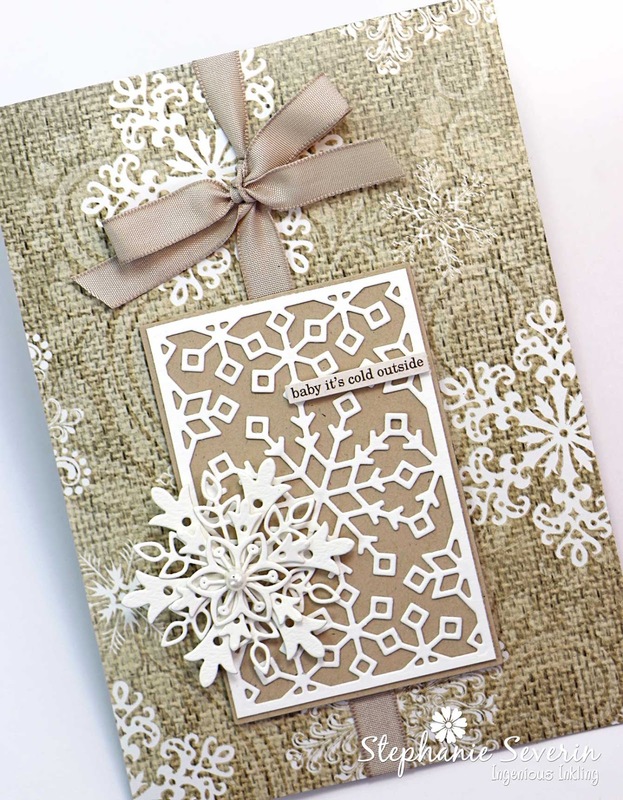 Stephanie says, "I added My Favorite Things Snowflake Window & Layered Snowflakes Die-Namics to my stash for Christmas (I am my own Santa Claus ... that way I always get what I want) ... I love how they work together. I also thought they paired perfectly with another new holiday wrapping paper I added to my stash. 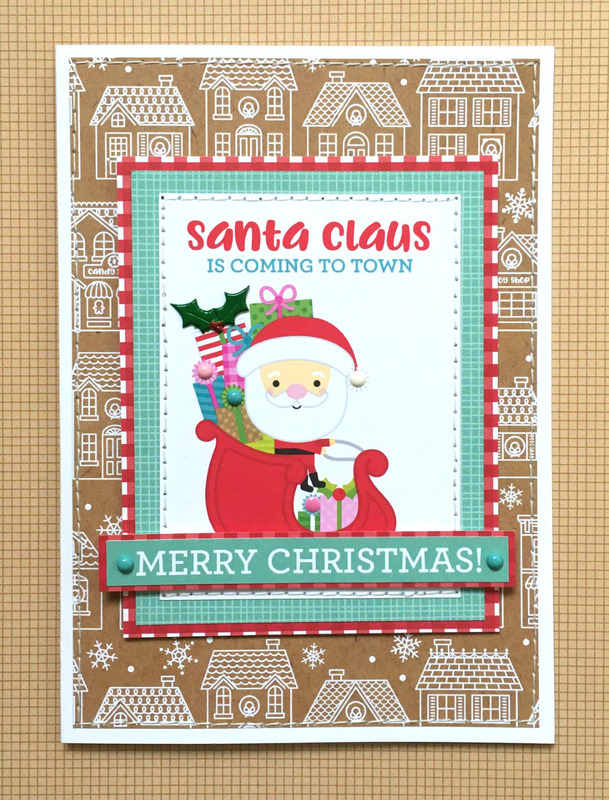 I finished with a wrap of ribbon and a sticker sentiment." 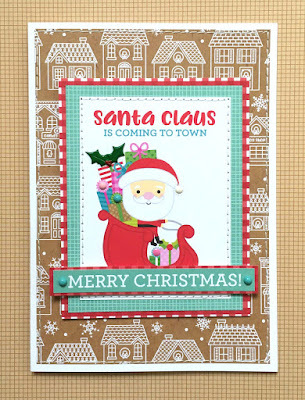 Lauren says, "In this case I was my own Santa, as well, and treated myself after Xmas to some adorable holiday-themed sticker sheets from Doodlebug Design, and a few papers too. It's the latter I've used here from the "Christmas Town" and "Milk and Cookies" lines. Once again I had an awesome Sketch Saturday to spur me on!" Now it's your turn to raid Santa's bounty and create your own masterpiece. Link up here by 6pm (EST) on Wednesday, January 30, 2019. Keyword for galleries and Flickr is JB:19:02. I'm excited to participate and hopefully will be able to do so on a regular basis! 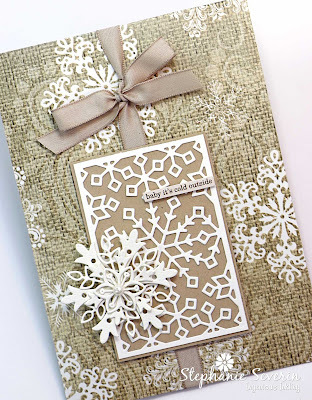 Thanks for motivation to steadily work on crafting Christmas cards all year long!!! So much new schtuff yet so little time and energy to craft. At least I managed to create my very first Christmas card for 2019. So many new things Santa (me) brought and didn't have a chance to make more than one card for your challenge. I'm hoping to be a little more on top of things on Feb. 1st.